I love listening to stories of how God works in people’s lives. I never stop being amazed by ‘But God’ moments. I had an amazing ‘But God’ moment last Fall, and it has my wife and me preparing to move to the Dominican Republic. Before that new assignment from God, however, Lee and I both thought we’d end up in Eutaw, Alabama, doing mission work there. I wasn’t sure exactly what it was going to look like, but part of the dream was perhaps a church plant and me serving as a pastor to the families in the Branch Heights community. As a result, I feel I’ve been a student of the sermon these past three years. I love a good, foundational message, and I love it more when it comes from a dynamic and passionate pastor. Today I was introduced to Pastor Michael Todd of Transformation Church in Tulsa, Oklahoma. He was the guest pastor at Elevation Church last week, and his message blew me away. I look forward to catching up on Pastor Todd’s messages on YouTube, and learning from him both in how he crafts his message and how he delivers it. Below is the message he preached at Elevation. Not only is his message powerful, so is his story. It is a story that can only be summed up as ‘But God’. I saw a meme recently. It said something to the effect of, “Nothing makes you clean your house like a friend calling and saying he’ll be over in 10 minutes.” Lee and I are hosting our growth group on Wednesday night, and we’ve been in full cleaning mode since the workday ended. Normally, this would be a gripe session about an aching back, tired muscles, and dry, cracked hands. But before I started cleaning, I took my wife’s advice by grabbing my mp3 player and listening to a sermon from Elevation Church. Now, I know it may sound strange to fill my time by listening to someone preach, but if you’ve never heard Steven Furtick preach, you’re missing out. This sermon, however, was delivered by Steven’s wife Holly, and it helped me remember to keep things in perspective. Instead of being pissed about how dirty the grout gets, I should be thankful for the tile floors that decorate the house. Instead of getting furious at the cats that shed all over the place and leave nice, regurgitated ‘presents’ on my lanai, I should be thankful for the companionship they provide and the calm, soothing effect they have on my wife (she’ll be the first to tell you there is no better therapist than those with claws). Instead of fretting about having the house look perfect, I should be focused on the opportunity to invite my friends over and share in continued fellowship with them. My favorite band Sister Hazel has a song called Change Your Mind. Before he performs it, lead singer Ken Block reminds the crowd that, “It’s not your life. It’s how you choose to look at your life.” All you have to do is change your mind. So when you’re feeling stressed, change your mind. When you think you can’t, change your mind. When you feel alone, remember that He is always there for you. You just need to change the way you’re looking at your situation. My favorite author is Mitch Albom. He’s a brilliant sportswriter for the Detroit Free Press. He’s an even more brilliant storyteller. As a writer, he’s my idol. Albom’s books have touched me in a way few others have. He’s endearing and wise, but in a way that is comfortable and unassuming. He’s never preachy although his stories, both fiction and non-fiction, carry wonderful and positive messages. He is an artist with words, and with them he weaves a masterpiece of narrative that captivates the mind and touches the heart. He’s great at what he does, and he makes me want to strive for greatness in what I do. There’s is something to be said about inspirational people like Mitch Albom. They are true role models, and they make the world a better place by fostering in others a sense of positivity and optimism. As much as I aspire to write like Mitch Albom, that doesn’t compare to the inspiration and spiritual uplift I get from Steven Furtick. Furtick is the founder and lead Pastor of Elevation Church in Charlotte, North Carolina. In addition to being a dynamic speaker – his sermons are simply amazing – Furtick is also a New York Times Best Selling author. His first two books, Sun Stand Still and Greater, have played a significant role in changing my life for the better, and helping me to better understand and appreciate my faith journey. So you can only imagine how I feel about receiving Furtick’s latest book Crash the Chatterbox. It released today (February 11) and I am so excited about diving into it. The book’s tagline says it all: Overpowering lies of insecurity, fear, condemnation, and discouragement with the promises of God. I know I’ve been guilty of letting negative thoughts in my head divert me from where I’m meant to be, and the message of the book holds true to my belief that we’re all on a quest to walk both with God and toward God. Along the way, the devil makes every attempt to steer us away from our true direction. “You’re not good enough. No one will want to read your blog. Do you really think you can make a difference?” Those are lies and misconceptions we allow to seep into our thought processes and distract us from what His will is for us. Walking in faith and obedience is a lot easier said than done. Uncertainty can be dizzying. Fear, if we let it, can be crippling. It’s only when we tune out the noise and focus on His voice that we receive the clarity we need to move forward. I anticipate pouring over the pages of Furtick’s new book will bring greater clarity in my life and on my faith journey. If you feel stuck in neutral and need some encouragement in terms of overcoming the negative thoughts you may have, I invite you to pick up a copy of Crash the Chatterbox. God wants you to be filled with joy, and the only thing keeping you from experiencing that is any doubt you possess that you can. How Much More Do I Need? A great flood strikes a small town and the water inundates all the houses. 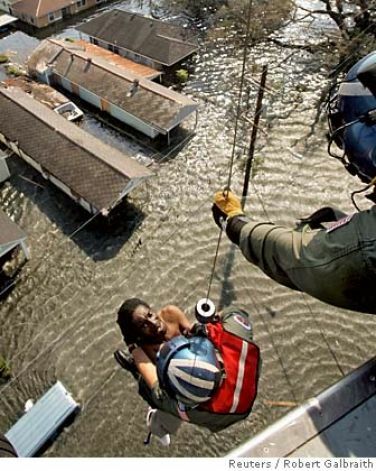 The people retreat to the rooftops to escape the waters that continue to rise. A man stands on his roof, and a boat passes his way. “Get in,” they yell from boat. About an hour later, the man is still on his roof and the water is now up to his knees. The contents of his house are completely under water. A second boat passes by. “Get in,” they yell. Minutes later, the man is gone, succumbing to the rising flood. He finds himself in Heaven, in dismay and disbelief that he drowned, and face to face with God. The moral of the story is God is constantly reaching out to us. He wants us to succeed, and He wants to help direct us in the right way. We, however, need to be willing to listen. Faith in God means having a relationship with God, and as with all other relationships, it’s a two-way street. About two years ago, I got an idea for a book. The subject of the book is sensitive and painful, but I believe if done correctly, it can go on to help others who may have suffered the same pains in their lives. Last November, I took the first step in making the book a reality. I sat across from a woman and had her tell me her story. It was difficult, uncomfortable, and the tears were plentiful, but we both managed to get through it. Then the scope of the project set in. In order for this book to be meaningful, I would need to have at least nine or ten more of those types of interviews. I would have to have that same difficult and uncomfortable experience over and over again just to get the source material needed for the book. Then I would have to compile it, organize it, and write it, each keystroke making me relive the pain and suffering of everyone I would have interviewed for the effort. The phrase, “Um ….. no thank you!” blared in my head. That is, until this past week. In the last month, I’ve experienced baptism as an adult and have taken part in a Christian mens retreat (see my posts with W@HBC in the title). What I’ve come to realize following those experiences is that I’ve been standing on my roof, ignoring the boats and the helicopters and the hover-crafts and all the other vehicles God has been sending my way. In the last two months, I’ve had the woman whom I initially interviewed inquire about the progress of the book. I’ve had another person, a person with whom I’ve discussed the effort and asked if she’d be willing to share her story, ask me when we were going to get together for the project. I’ve had sermons from both my own Pastor, Paul Wirth, as well as Pastor Steven Furtick, to whom I listen via podcast, speak directly to me about this topic. God has been throwing life preservers and flotation devices at me for a long time now. He’s been bombarding me with ways to save myself from drowning in a sea of fear, self-doubt, and complacency. He’s been telling me all along that I am capable of overcoming the challenges that are mostly in my head. But I have to do my part. I have to take action. I have to get in that boat. I have to grab onto that rope ladder. I have to pick up the phone and make those difficult calls and ask those awkward questions. I need to write this book because I believe it can positively affect the lives of others. I have to write this book because I know this is what God is calling me to do at this moment in my life. The process will be hard, and I am sure to get discouraged along the way, but there is no doubt in my mind that regardless of the outcome of the project, my Father in Heaven won’t let me drown. I still get a kick out of going into Starbucks and ordering coffee with their crazy names for sizes. Venti this and Grande that. I just recently found out they have a new, even bigger size called Trenta. It’s pretentious and awesome all at the same time. So when I title this post ‘XL Commitment’, I wish I could say it had something to do with and extra-large sense of dedication. I guess in a way it does, but the real meaning behind the XL is not linguistic but, rather, numerical. The number 40 is mentioned 146 times in the Bible, and it is of significant importance with regards to its association with a period of probation, trial, and chastisement. Having just turned 40 myself, I feel there is a spiritual symbolism that’s calling me to make a change. I’ve written before about my vocation and how I feel I am called to be the best dad I can possibly be. I’ve even done so while patting myself on the back. Even though I still take pride in my kids and my parental abilities, I also feel there’s not a whole lot for me to celebrate about myself. My high school English teacher loved to break down literature, and he’d challenge us to determine the tragic flaw of the main character. The idea that everyone has a tragic flaw fascinated me, and it has me thinking of what mine may be. Upon reflection and introspection, I believe my tragic flaw is complacency. It’s a laziness that has rationalized the comfort of ‘good enough’ as success. What I’ve come to realize is that in surrendering to my complacency, I am failing God in terms of what He has destined for me. Much like the book by Steven Furtick I am currently studying through my growth group at church, I believe God wants greater things for my life. I heard once that good is the opposite of great, and as I keep embracing the safety of good enough, I won’t be able to achieve great things in my life. So the real question is do I have what it takes to let go of good enough? This translates to do I have the discipline to allow myself to become greater? Can I be faithful in my destiny? It’s no surprise then both the words discipline and disciple share the same Latin root, one that refers to instruction given, teaching, learning, and knowledge. The disciples followed Jesus to learn from his teachings and model their lives after His. 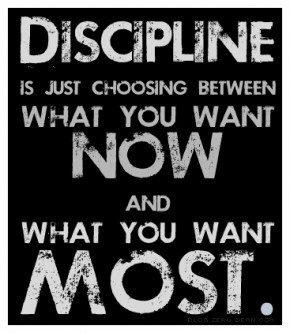 Similarly, being disciplined, to me, means not so much having to sacrifice as it does learning ways to be better and more effective. In short, being disciplined leads to becoming greater. I’ve struggled with a lot of behavioral traits that result in negative consequences in my relationship with my wife and kids. Particularly, managing my anger and frustration has been quite the challenge. I am sometimes left feeling like Dr. Bruce Banner in the Avengers, except I don’t have the luxury of being able to smash alien life forms that are attacking Earth. And one way I know I can simplify my life is by unplugging from the medium that I feel helps contribute to my inner rage. So as Lent arrives and we begin another 40 day period of probation and atonement, I have decided to take a hiatus from Facebook. I know that most people may see this as a small sacrifice, but for this self-proclaimed social media junkie, stepping away from Facebook is an extra-large leap for me. It is something I do with painful trepidation, yet it’s something I know I must do in order to quiet my mind and better prepare myself to hear what God is asking me to do. Over the next forty days, I hope to be “marching all night long” in preparation for whatever God has in store for me. It’s my own little sabbatical, and I know that through it all, the experience will be great(er). Wednesdays are my God day. Actually, every day is a God day, but Wednesdays are the days I truly get to be active in my faith. I have the privilege of being able to telecommute with my job. Normally, that means being able to work from home in the comfort of my PJ’s and with my cats to keep me company (and no, it’s not abnormal to have full length conversations with a cat). On Wednesdays, it means I am able to work from the confines of Relevant Church in Ybor City in Tampa. I come in, log on to work, and in the afternoon I take an hour and a half to go tutor at Booker T. Washington Elementary School. This is my second year as a tutor, and being there for my kid at BTW has been such a rewarding experience. The logistics of being on-site at church on Wednesdays lead to my wife and I leading a growth group for our church i the evenings. So, every Wednesday, I drop off Lee at work – it is 25 miles door to door – and then I double back just a bit and come into Relevant to start my work day. In the afternoons I go pick her up and we proceed to our growth group. Yes, it makes for a busy day. Now, I am not a commuter. I think if I had Lee’s daily commute, I’d last a week before I was jailed for very un-Christian behavior. So I relish my ability to work from home, and I openly acknowledge my personal weakness when it comes to being patient in traffic. This morning, as we do every Wednesday morning, Lee and I turned on the audio version of the book we’re studying in our growth group. It’s our way of prepping for the evening’s session. It was also a way to get my mind off the horrible traffic we faced as we got on the interstate. Normally, my seeing the stream of red break lights would have prompted an expletive or two from escaping my mouth. But this morning, I felt a sense of ease and comfort. In retrospect, it realize it was a sense of surrender. Perhaps it was the young and playful voice of the book’s author Steven Furtick. Perhaps it was the message of the chapters to which we were listening. Perhaps it was because the caffeine of my morning coffee had yet to kicked in. Whatever the reason, I felt God calling me to surrender to Him. In return, he would take away the anxiety and impatience I normally feel when sitting in bumper to bumper traffic. I dropped off my wife and made my way to church. Normally, when I arrive early enough, there is on-street parking available directly in front of the church building. This is nice because it saves me a couple of bucks by not having to park in the garage, and it’s also really convenient. However, knowing I was running later than usual, there was no way I was going to find a spot on the street. After 8:00 AM, those limited on-street spots are very much taken. I made up my mind to turn one block early and go directly to the parking garage. No point in fishing for a spot I was certain wouldn’t be there. But just as I reached up to turn on my blinker, I heard Him say to me, “Keep going forward.” I smirked at the idea because I know God is cool, but He’d already provided for me by making the nightmarish traffic bearable. Still, I figured I didn’t have anything to lose since I can easily access the parking garage from the other street as well. So forward I went. I can’t begin to describe the rush and the goose-bumps I felt as I turned onto the street in front of my church and saw an open spot. It was like God giving me a playful nudge in the back as He said, “I told you.” Overall, it was simply delightful. Now, I know this is no earth-stopping nor sea-splitting moment. It’s not any kind of miraculous and skeptics will dismiss it all as overactive imagination meeting sheer dumb luck. But in my heart, it was a reminder of how God moves us and calls to us every day. And in relaying the story to my friends here at church, I was reminded that it is in delighting in God that He delights in us. There is something very true in the cliché “Let Go and Let God”, and this morning I was reminded just how delightful it can be to surrender yourself to Him.